Nasal worm develop from larvae of the ‘nasal fly’ (Oestrus ovis) which affects both sheep and goats. Goats generally are not as severely affected as sheep were on average 4 or 5 larvae are found where in sheep this may be between 15 and 20. 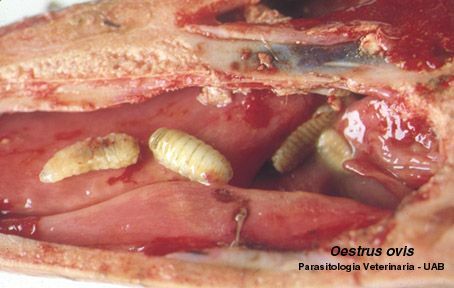 The larvae cause irritation and excessive secretion by the mucous membranes with their oral hooks and ventral spines. This causes excessive nasal secretion and sneezing. Goats may stamp their feet. Secondary bacterial infections are frequent. The goats may press their noses against the ground or between other goats. The irritation may even cause the goats to circle and run randomly about. The irritation may lead to loss of body condition. The rams sense of smell may also be affected during mating. 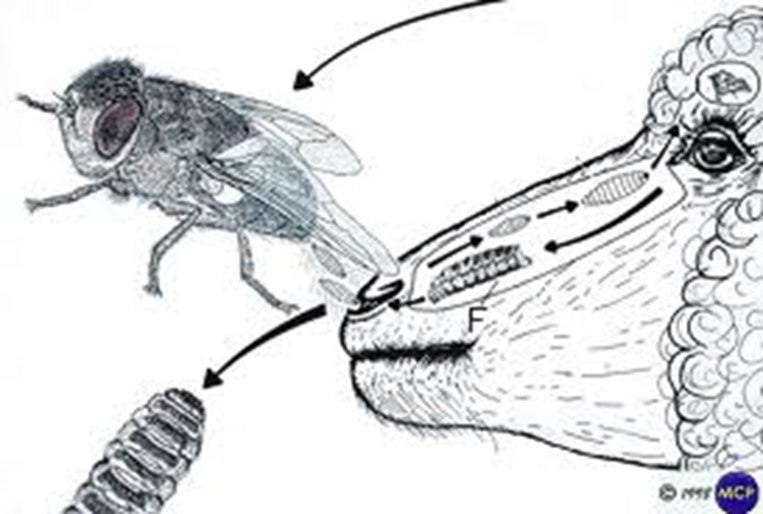 Up to 500 Larvae can be laid by the fly around the nostrils (not eggs) are deposited around the nostrils. The larvae crawl up the nasal passages. The L1 larvae which are white or slightly yellowish remain in the nasal passages for 2 weeks in summer and up to 9 months during the cooler part of the year. They attach to the mucous membranes with small hooks and feed on mucous causing intense irritation. They enter the sinuses and develop into L2 and L3 larvae. 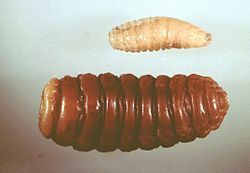 Fully grown larvae may be 3cm long. They stay in the sinuses for 21 days to months. The mature larvae are sneezed out and they pupate in the soil for 4-7 weeks before the adult fly emerges. There are very few or no adult flies that overwinter and the larvae development becomes delayed so they ‘overwinter’ in the sheep or goat sinuses (hypobiotic period). In warmer and coastal areas the cycle may continue during the winter. New infestation often occurs in spring when the adults emerge from the pupae. Closantel and Rafoxanide from the Halogenated and Salicyclanalide group (Group 4). In trials therapeutic efficacies for the closantel, subcutaneous ivermectin injection and oral ivermectin treatments were 100, 100 and 98% respectively. The development of resistance against anthelmintics must always be considered in the treatment of oestrus ovis remembering that the drugs effective against nasal worm are also used to treat roundworms. Farmers often treat their livestock during the early fly activity period in about October (spring infestation) and again in March (summer infestation). 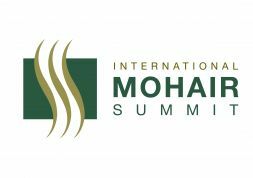 There will be seasonal variation where treatment may also be required over mid-summer. Rams should be dosed prior to mating. In trials the use of systematic treatments during the fly activity period and the beginning of the hypobiotic period were found to be efficient in O. ovis control. Discuss the treatment options with your local vet.